Almost every driver immediately considers a vehicle’s core when deciding if it’s the best car for them, and the 2016 Ford Fiesta performance features exceeds those expectations. Three supercharged engine options, paired with a stand-out transmission system, and terrific stability support boost confidence when varying weather and environmental conditions are encountered. Fuel mileage is also impressive, and for sports’ car enthusiasts, there are add-ons that will enhance that characteristic. 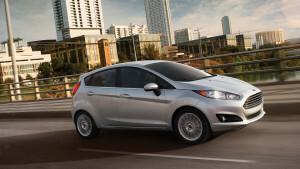 Learn more about the great 2016 Ford Fiesta performance features! In addition to five and six-speed manual transmissions for certain trims, the six-speed PowerShift automatic transmission with SelectShift® takes front-wheel drive capabilities to a new level of responsiveness. It gives this compact vehicle the kind of velocity that larger cars usually have. Come in to Glenwood Springs Ford, and experience the 2016 Ford Fiesta performance features for yourself! We’re here at 55 Storm King Rd, Monday through Saturday, and can be messaged online anytime.